Over the years I have tested hundreds, if not thousands of applications. When it comes to screen recording tools, the price for an application or suite can range anything from $100 to more than $1000. 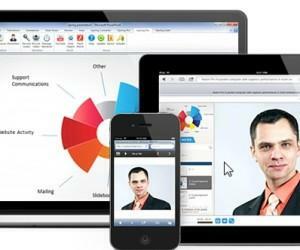 While there are many free screen recording tools, they have various bugs and lack many essential features. 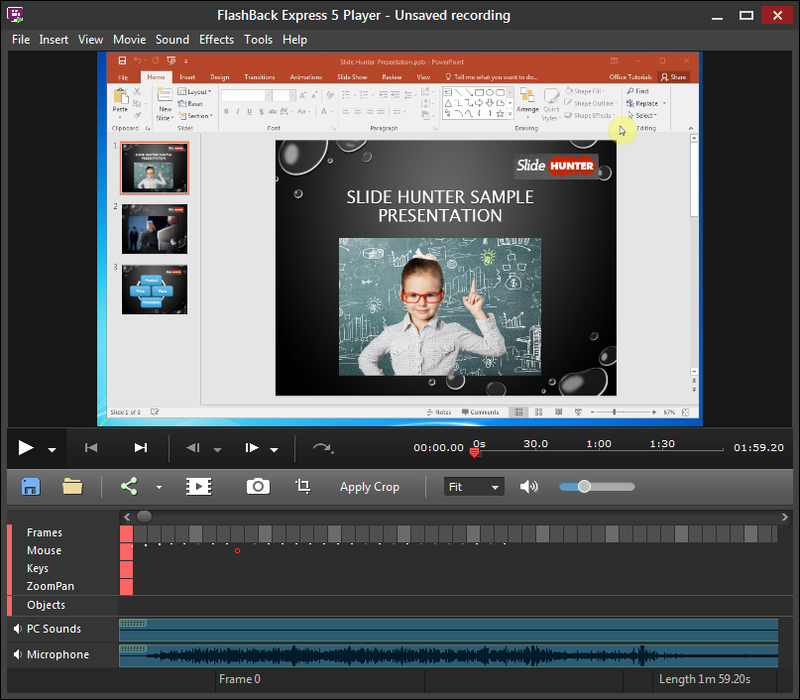 BB Flashback Express is a free screen recorder for Windows, which gives robust screen recording for making high-quality screencasts without expensive hardware. 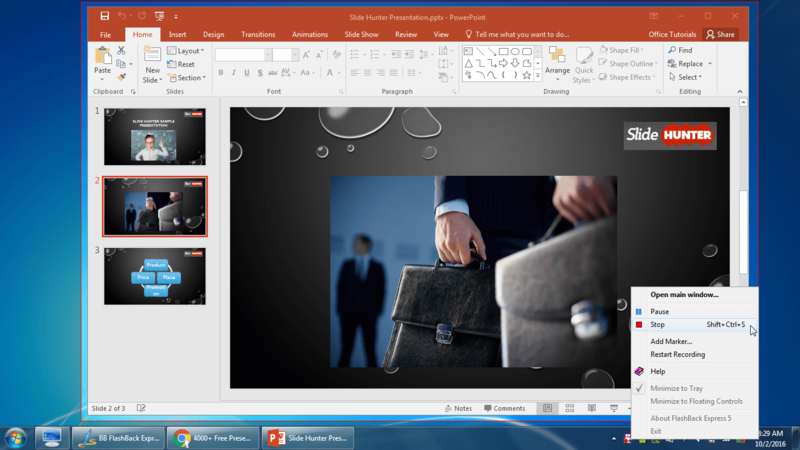 BB Flashback has many features similar to Office Mix, which is a free PowerPoint add-in for making screencasts, tutorials and online courses. 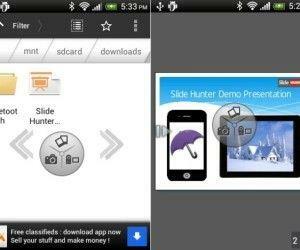 However, with BB Flashback, you don’t need PowerPoint to record your screen. 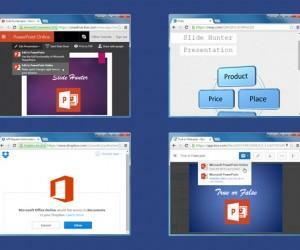 You can use this free app for anything from making tutorials, demos, marketing videos to video presentations or video lectures for your class. 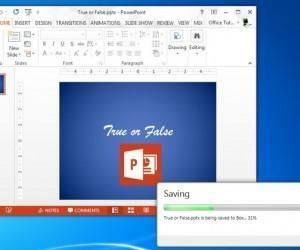 You can start your screencast by choosing to record the entire screen, a specific part of your desktop or even an active window. 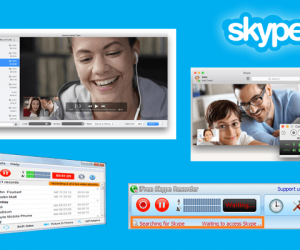 You can also choose your preferred audio devices and optionally enable your cam to be recorded with your screencast. You can initiate recording by selecting the region you intend to record and even configure settings from an onscreen dialogue box. 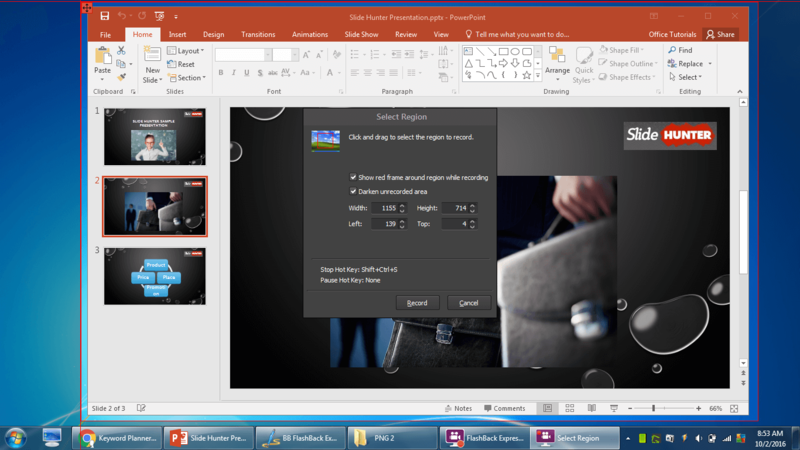 Once you initiate recording, a countdown appears, after which recording begins. You can use the Shift+CTRL+S hotkey to stop recording or end the recording session via system tray menu. 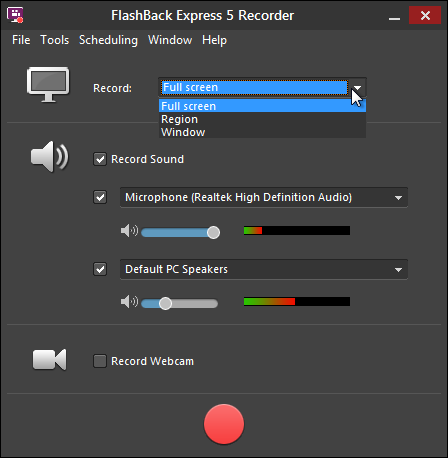 Furthermore, you can also double-click the BB Flashback Express icon from the system tray to bring forth a window which enables stopping or pausing the recording. 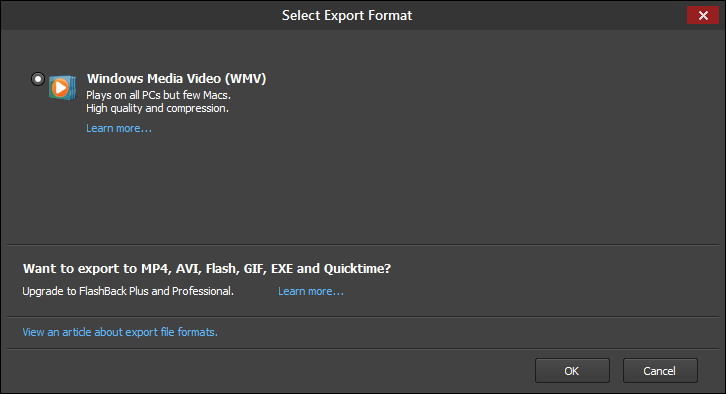 Once the recording process ends, you are given the option to upload the video to YouTube or Export it to WMV format. 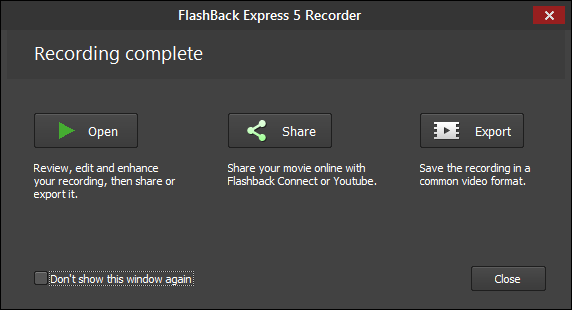 The paid edition of BB Flashback provides the utility to save the video to additional formats like MP4, MOV, Flash, GIF and EXE. 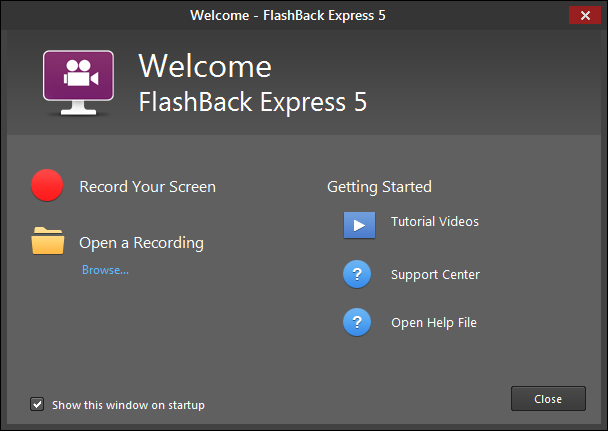 All recordings are also saved to a native FBR format, which can be played back using BB Flashback Player which automatically installs with BB Flashback Express. 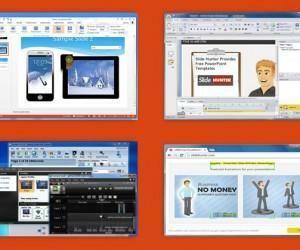 This player also provides some very rudimentary options for editing and managing your recorded videos. You might want to keep the FBR version of your recordings handy, as you can use this file to export your videos anytime to YouTube or save them offline. In other words, the FBR file is your project file, which can be used for editing, saving and uploading your recorded video anytime.